When it comes to Halloween, Georgia packs a truly spooky punch. Halloween season is a much-anticipated time of year in the Peach State, especially as the cooler weather and shorter days give way to bone-chilling nights that set the backdrop for spooky occurrences. These top 10 experiences are sure to help you create your perfect Halloween. There’s no better way to stock up on your favorite Halloween sweets than a trip to Hansel and Gretel’s Candy Kitchen. These well-crafted, handmade chocolates and other treats will ensure you’ll never want to reach for a bag of grocery store candy again. Set against a backdrop of Little Bavaria, the area is chock full of all the best things about October, including the epic month-long Oktoberfest taking place throughout the town. You’ll want to make a stop here an annual Halloween tradition. What’s scarier than a half mile walk through a haunted forest brimming with the undead? Not much. If you want to scare yourself out of your wits, head to Zombie Farms, one of the state’s most terrifying attractions. Each year brings new scenes and themes to the farm, including a campfire storytelling and marshmallow roasting. So, what exactly are they harvesting on this farm? It could be YOU! Why settle for one Halloween party when you can enjoy five (or more!)? Atlanta’s epic Halloween pub crawl takes guests on a journey to some of the best bars in the area. Your ticket includes access to all the bars on the crawl, effectively killing the stress of choosing the best place to party for Halloween. Make sure you wear your best costume! Skip the big box stores and get a fun, unique costume at Eddie’s Trick Shop. Here you’ll find theatrical-grade makeup, costumes, and accessories that will help you win at Halloween. It’s also the prime opportunity to stock up on magic tricks and practical jokes—remember, Halloween is just as much as about tricks as it is treats. An overnight stay in one of the Peach State’s most haunted places will make this Halloween season unforgettable. Guests have reported hearing a girl’s laughter ringing down the halls. Eerily, in the inn’s early days a housekeeper and her daughter were pushed down an elevator shaft, and it’s believed that the laughing ghost is that of the young girl. Ghost hunters have tapped the area for paranormal activity and its readings were off the charts. Given Savannah’s rich coastal history, it’s no wonder the area is brimming with frightening true tales and legends of famous haunts. You can experience them up close and personal on the Blue Orb Savannah Ghost Tour. Take your pick of three distinct tours, including the adults-only zombie tour that takes you through Savannah’s history of voodoo and hoodoo communities. If you’re looking for family-friendly Halloween fun, Tire City Potters in Augusta has plenty of it. Their “Forever Pumpkins” events let guests carve and decorate their own ever-lasting pumpkin, helping you avoid the rotten pumpkin ooze on your front porch. It’s a Halloween memento you’ll want to display year-round! Gideon got to be the understudy of one of Augusta's great artists at Super Awesome Storytime. Thanks Shishir for the forever pumpkin 🎃 so fun! And Mr. Kenny, wonderful job as always! 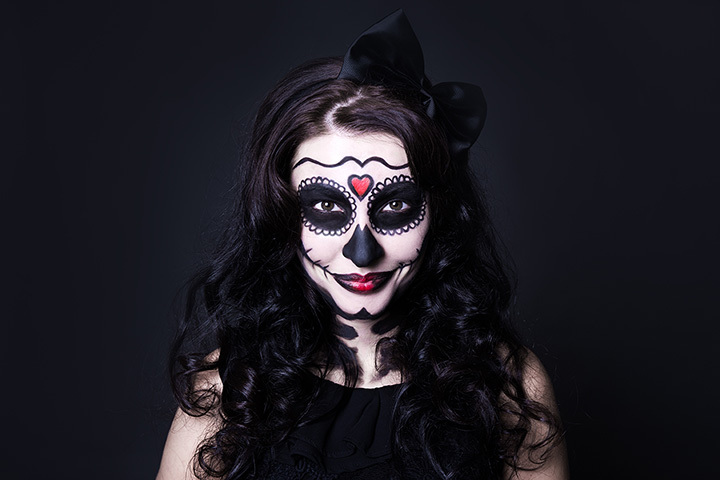 Touted as Atlanta’s biggest costume party, there’s scary good fun for the whole family here. Guests can expect an array of vendors, including a beer garden and local artists showcasing their best work. And you won’t want to miss the array of Halloween hot air balloons that fill the sky with their frighteningly amazing designs. If you’ve never fought your way out of an escape room, there’s no better time than Halloween. This live action game relies on you and your team’s ability to solve clues and problems to make your way to freedom. However, if you don’t complete the challenge before the clock runs out… well, just hope you make it out in time. If you had to battle for your life, how much would you trust your aim? Put your shooting skills to the test in Fear the Wood’s new attraction, Pandemic. This live-action laser challenge lets you battle on the frontlines of a zombie apocalypse. Your skills will determine your fate—can you live with the results?